Last week we visited Malta for a week - this is nothing unusual, we have visited 10+ times as Lauren's parents have a lovely second home out there, but this time we had an added travel companion! 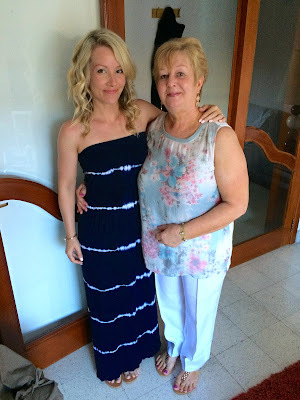 We had decided to take my Mom on holiday for her 60th birthday - the last time she went overseas was a family holiday to Spain almost eleven years ago, and often said she would probably not visit another country again in her lifetime. So we decided to change that! We were unsure when my mom expressed a wish to see Malta, a place she has heard lots about from us, as to whether she would actually want to go if we booked it! But we did book it, and all of a sudden, it was holiday time! The flight was trouble free - my mom has previously been a nervous flier but was fine (probably helped by the celebratory wine we drank!) even though the more recent security rules, especially around liquids, took some explaining! On our first day, after breakfast by the sea, we took the bus to Malta's capital city of Valletta. 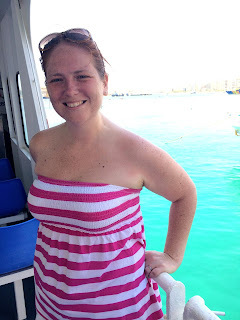 Buses are so cheap (and air conditoned) in Malta, and you can get pretty much anywhere in the country by bus. 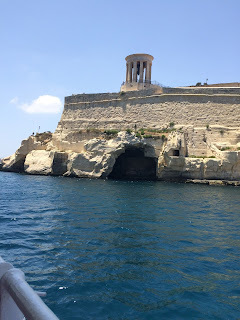 Valletta has became more modern even in the eight years Lauren and I have been visiting, and has lots of shops and places to eat. 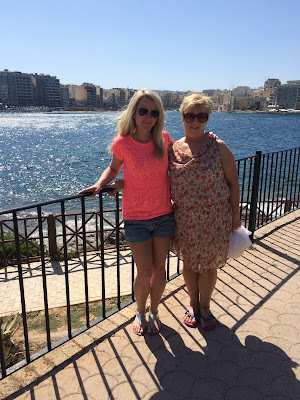 We had visited to take my mom to one of our favourite places, Barrakka Gardens. 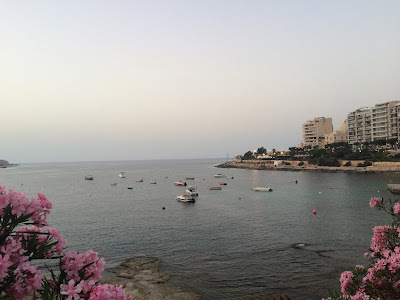 It's a beautiful place to stop for a coffee, and has amazing views over Malta. 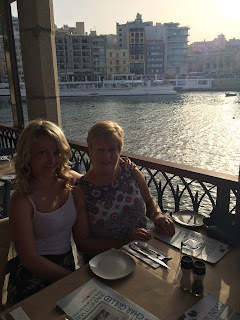 We surprised my mom by getting the boat back to Sliema - I was unsure how she felt about boats but luckily she loved it! That evening we went out to dinner at an Italian restaurant that Lauren and I had previously visited with a large group of family. 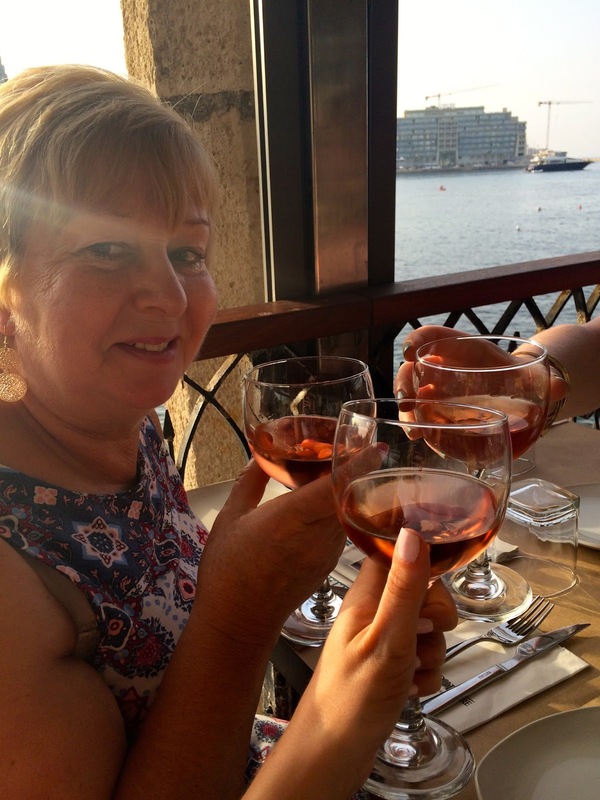 We had a table overlooking the marina and spent ages eating LOTS of food, and lots of wine! Finding a beautiful place to sit, chat and eat lots is definitely always something that features highly on our holidays. 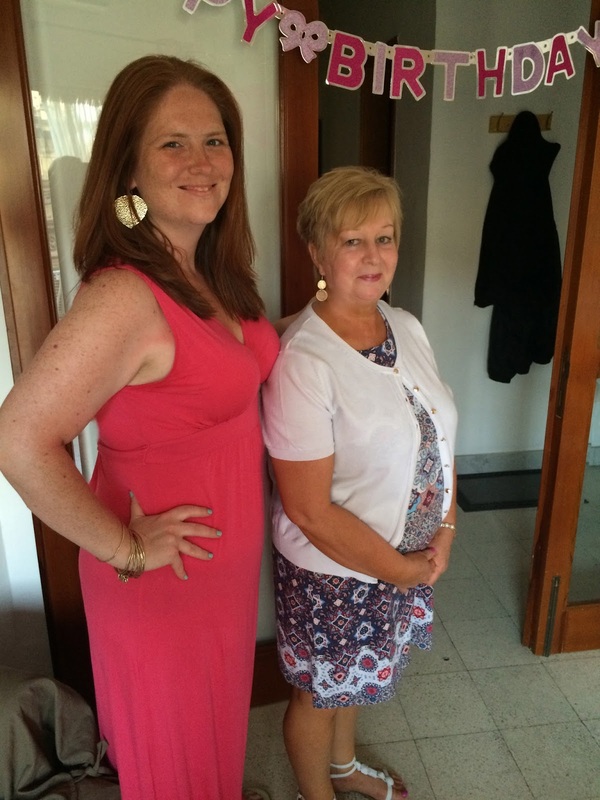 And how lovely does my Mom look at 60?! 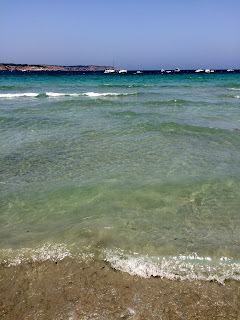 The following day, as I didn't want every day to be busy, we took the bus to Melihia Bay, which has one of Malta's best beaches. After hiring sun loungers and umbrellas, we spent the day paddling in the beautiful clear water, having a Maltese picnic, and lots of sunbathing! We returned home very tired after a day of nothing, so spent the evening in the beautiful apartment, with a pizza and some wine. 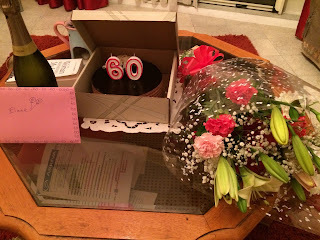 The following day was my Mom's 60th birthday! We had decorated the apartment ready for when my mom woke up,put up all her cards, and got her a few presents to open too. we had already gave her a present of a solid silver and pearl frame, filled with a collage of pictures of all the family, but we wanted her to have gifts to open on the actual day. 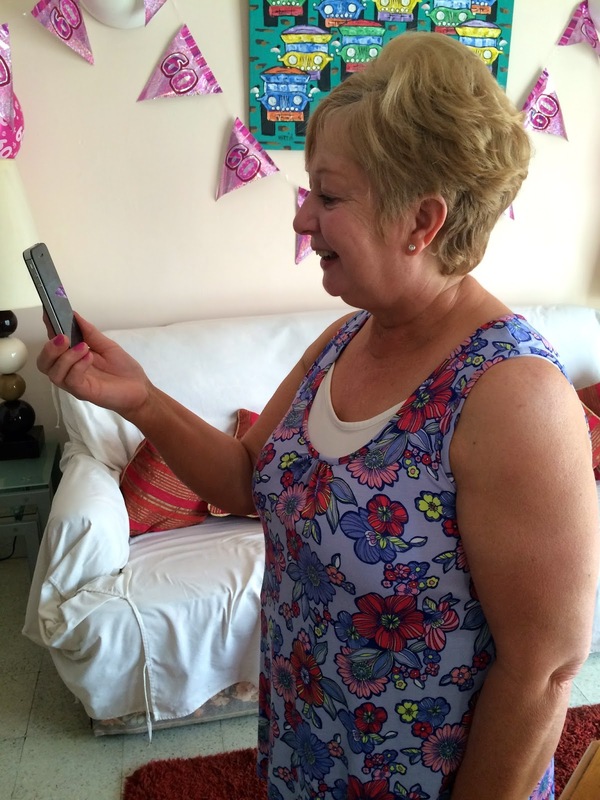 We also surprised her by setting up a Skype call with her twin sister, niece, and goddaughter. 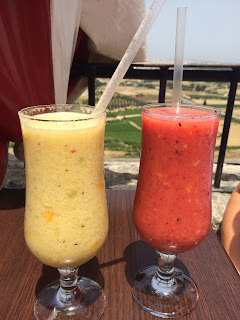 After another yummy breakfast by the sea, we got the bus to the ancient city of Mdina. As it is high up, and walled, it is very quiet - and a peaceful, beautiful place to explore. 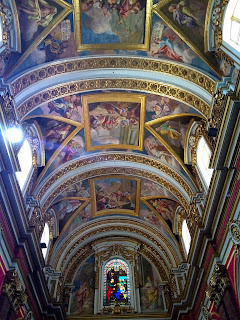 My mom loves churches and there are some beautiful ones in Mdina, so we walked around them, and took in the views from the city walls. Then it was time for birthday cake! 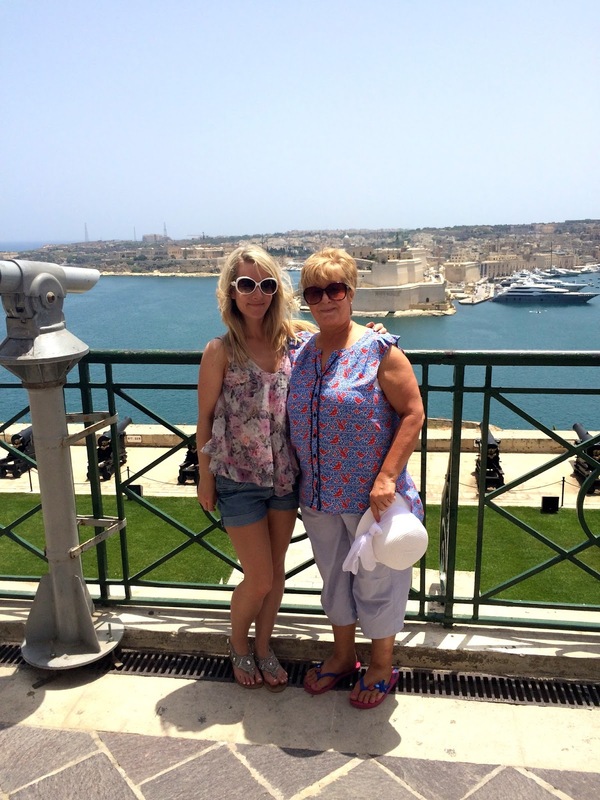 We took my Mom to our favourite tea room in Mdina - they do the most amazing cakes, and have beautiful views. We ordered four cakes as we couldn't quite decide, as well as fruit smoothies. After a beautiful day in Mdina, it was ready for the birthday girls night out! 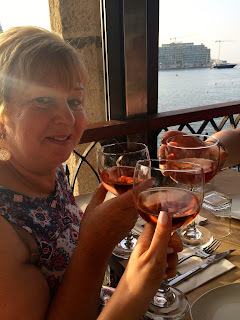 We had booked a table on the terrace over the sea at our favourite restaurant in Malta, which is just a short walk from the apartment. 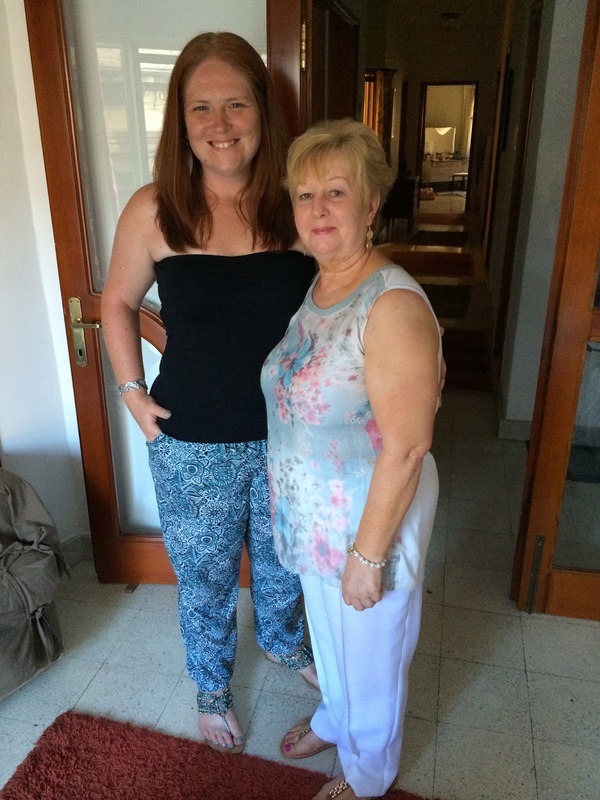 We had such a fantastic night - my Mom loved the restaurant, and said her meal was one of the best she's ever had! We also arranged for the restaurant to bring out her dessert with sparklers, cue the whole restaurant singing happy birthday to her! When we returned home, there was one more surprise for my Mom - Laurens parents had arranged for Laurens aunty who lives in Malta to leave flowers, champagne, and an amazing birthday cake in the apartment for my Mom. 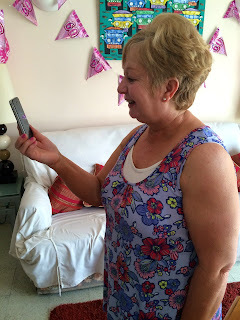 She was stunned, and quite overwhelmed by their kindness. On Wednesday, Lauren's dad had organised a boat trip for us, as a present to my Mom (I think she was feeling ridiculously spoiled by now!). We sailed around the harbours, and got a little bit drenched thanks to a huge wave on the way back! After we had dried off, we spent the afternoon sitting by the sea - we miss this a lot now we are back in cold rainy England! 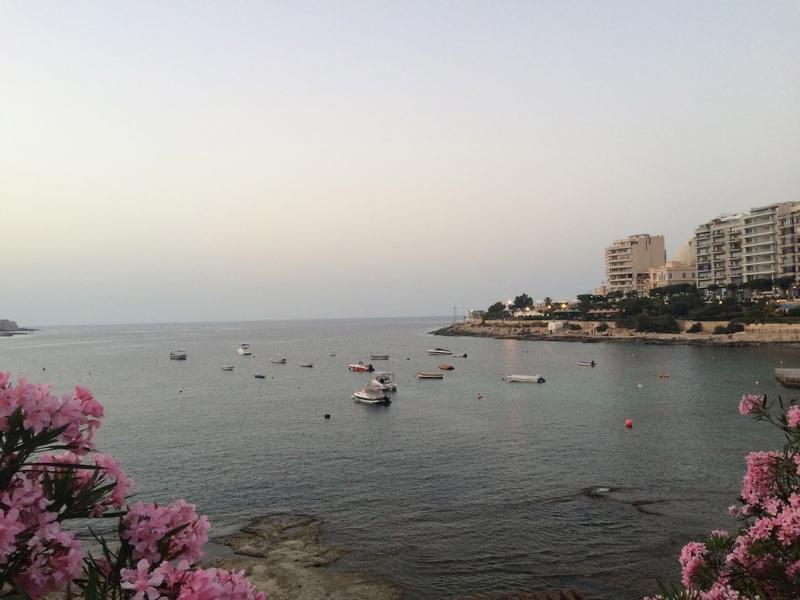 Our last evening in Malta came around way too quickly. 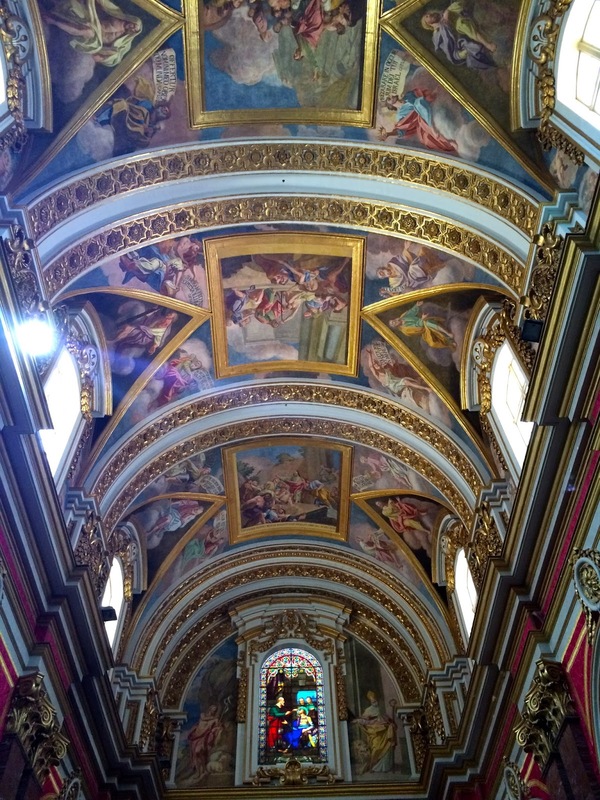 We had planned to take my Mom to a Chinese restaurant in nearby St Julian's. We don't actually eat Chinese food hardly ever - the Chinese takeaways in Birmingham aren't up to much and we usually find even Chinese restaurants too bland, but this one is always AMAZING! The restaurant has a waterfall, and lots of flowers and Buddha statues. We ordered so much food (spring rolls, veggie dumplings, crispy cauliflower, tempura pumpkin and pineapple rice for us!). My mom said it was the best Chinese food she had ever eaten, so it turned out to be a great choice! 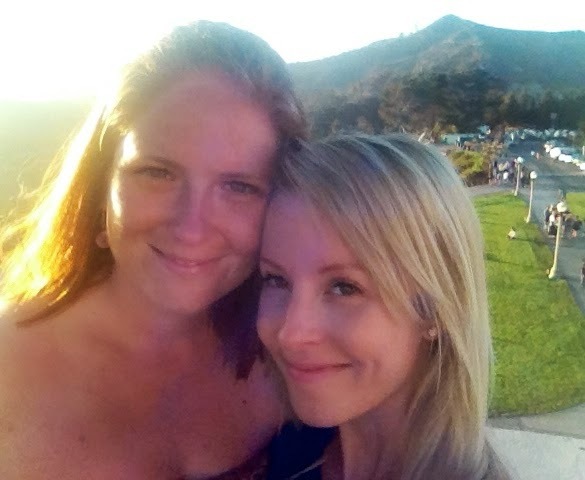 On the pretty walk back, for some birthday cake and champagne, we talked about how much we enjoyed the holiday. 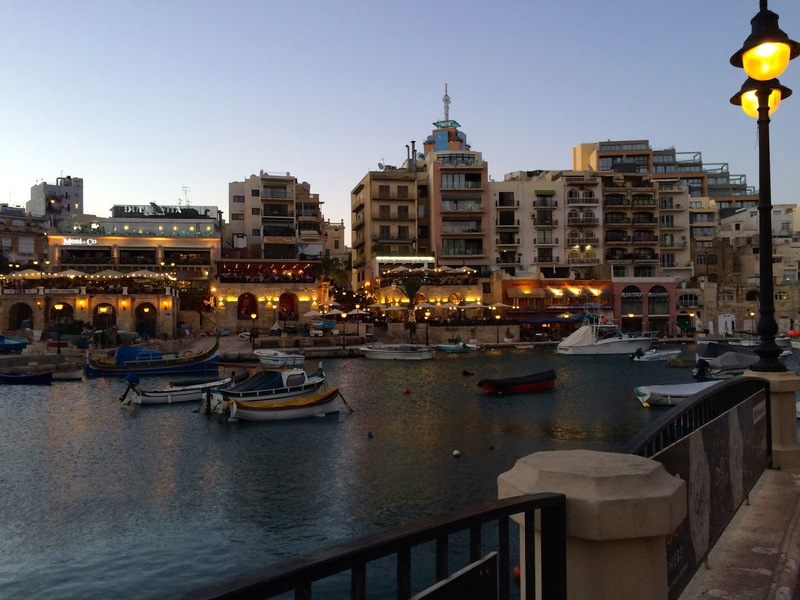 My mom has said it was her best ever birthday, and her best ever holiday, and that she wants to return to Malta next year! 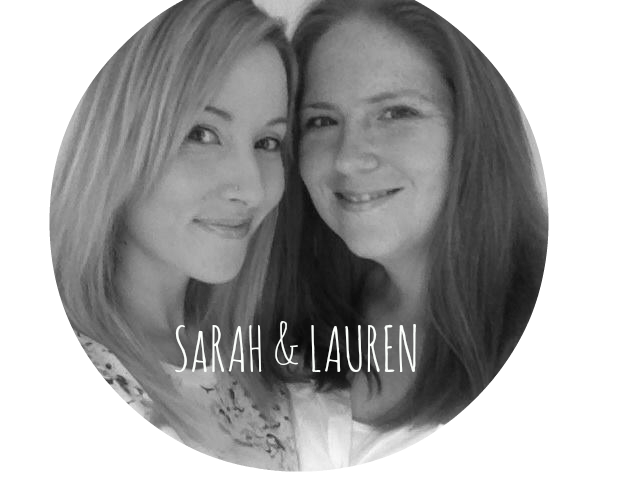 As the apartment will eventually become Lauren and I's, we feel extremely lucky to have a place by the sea to escape to. 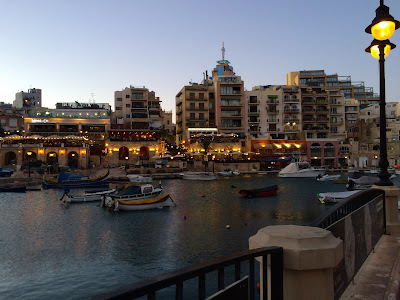 Seeing Malta with someone who has never seen it meant we saw it through fresh eyes, and had new found love for the walks by the sea, the beautiful buildings, and the most clear, turquoise water we have seen anywhere in the world. Not to mention the food! 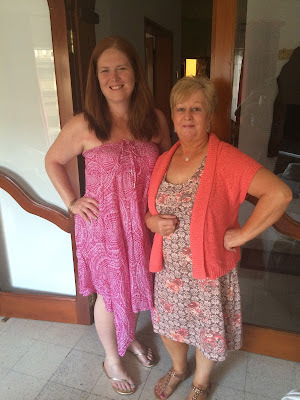 We spent our final day going for one last walk along the sea front with Aunty Jane, and going for a gorgeous lunch in the sunshine, before we sadly made our way to the airport! It was a very different holiday for us - I found it quite strange that now my mom is older, its me than looks after her, rather than the other way around. When she tripped over as we were getting our suitcases for the taxi back to the airport, I felt quite panicky, and upset for a while after - your parents getting older is a difficult feeling to get used to. Although my Mom is only 60, I definitely now feel more protective over her. I do however feel grateful to have had the opportunity to create such wonderful memories with my Mom. 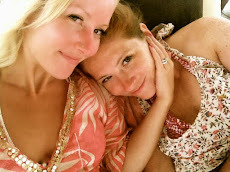 She said on the flight home that the memories of her birthday will last forever, and I definitely agree! 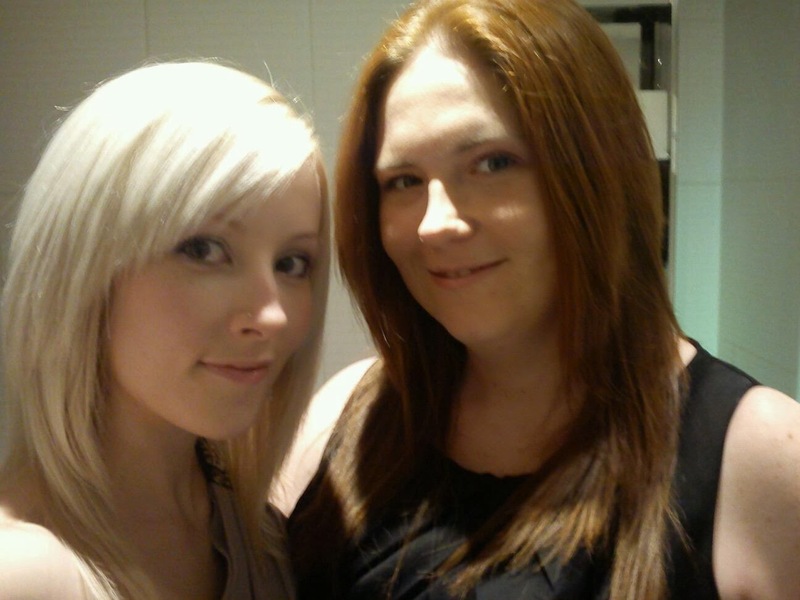 I also feel grateful to have such an amazing wife, who made sure my Moms birthday went perfectly - from going and stocking up with food at the supermarket, to running back to the flat to collect our forgotten camera one day! 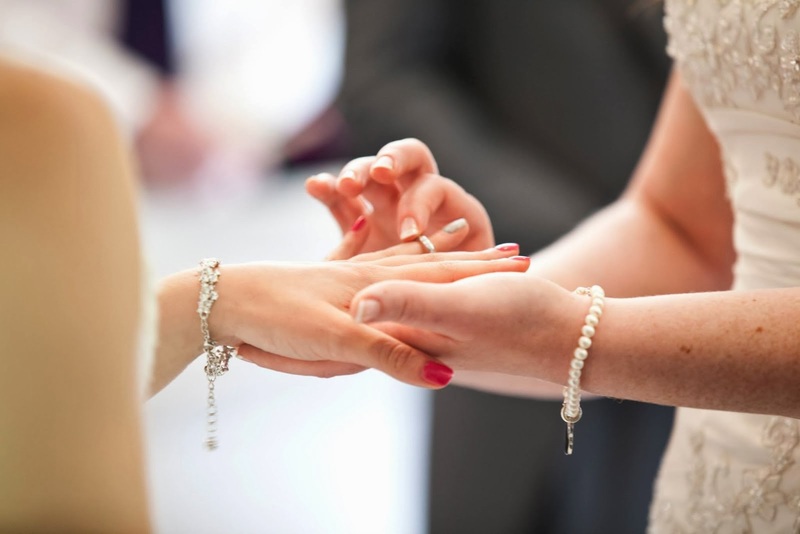 My Mom said that when people ask if she gets on with her daughter in law, she always replies 'I couldn't have asked for a more perfect person for my daughter'. Love this post! Sounds like you all had such a lovely time. Aww I've already told you how wonderful I thought what you did was but seeing this post not only made me feel like I want to make the most of life but it also made me want to visit. Your week by the sea sounds perfect. 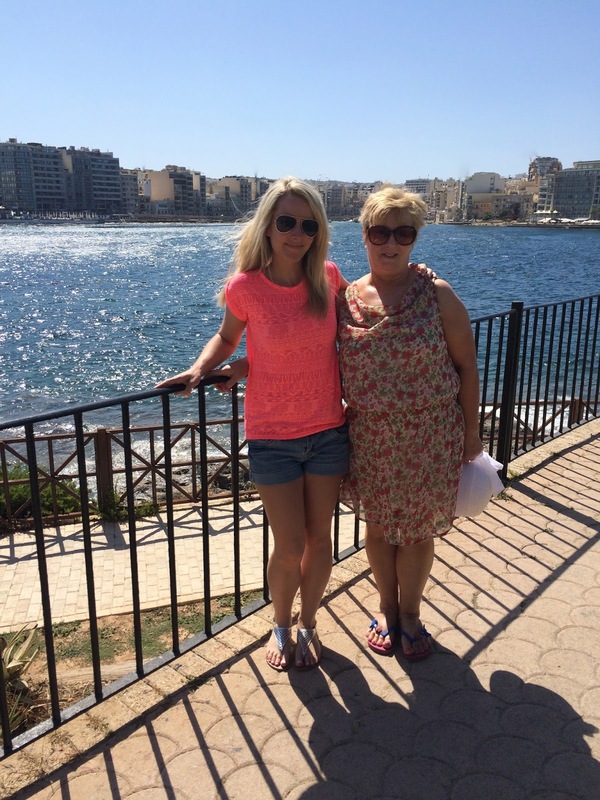 Malta is such a beautiful place: you're so lucky to get to visit it regularly :))) Your lovely mum is a lucky lady to have such a loving daughter and daughter in law. She was thoroughly spoiled, in the best way. My fiancées' mother fell over at the airport & so I completely understand the anxiety and sense of role reversal that comes with aging parents. This was a great post.